Although Lee Shi Tian has been around the Pro Tour for a whole decade, he has never received much attention relative to his success, due to a combination of his humility and the regional bias of coverage. Since Shi Tian will not sing his own praises, I thought this would be a good opportunity for me to share my experiences with Shi Tian, and why I believe he is a worthy candidate for the Hall of Fame. I do not think that Lee Shi Tian's results require a thorough explanation, as they mostly speak for themselves – he has five Pro Tour Top 8s and ten Grand Prix Top 8s, and has proven to be an excellent deck builder and metagame reader. He built the Mardu Vehicles deck that took him to a Top 8 finish at Pro Tour Kaladesh, as well as Modern Dredge, which led the two of us to have one of the most dominating performances at a Grand Prix, where we were the only players on the deck and we finished in 2nd and 3rd place – with Shi Tian's only loss being to me in the semi-finals. 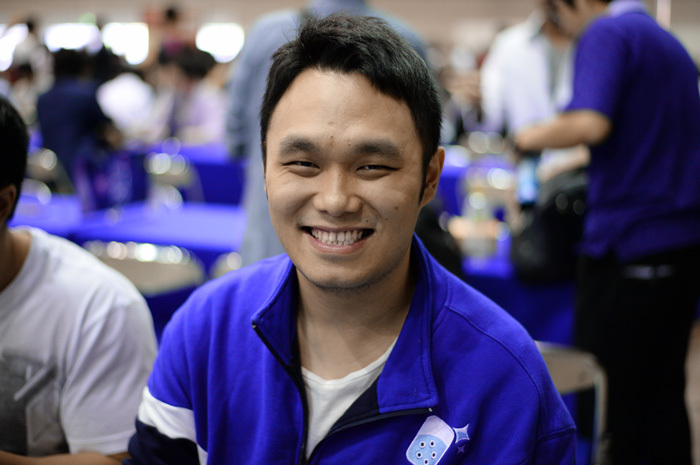 When I qualified for my first Pro Tour five years ago, one of the players whom I was most looking forward to meeting was Lee Shi Tian. At the time, he was one of only two professional players from the Asia Pacific region. Though he was not well known yet - with just one Pro Tour Top 8 - he was the player whom I looked up to the most, because he gave me hope of playing Magic competitively despite living in such a remote region. Unfortunately, I ended up not getting to interact with him that weekend, as I was an extremely introverted teenager, and I never mustered the courage to approach him. About a year and a half after that, Shi Tian managed to break through and make the Top 8 of Pro Tour Khans of Tarkir with Jeskai Ascendancy. If I had to describe his list in one word, it would be "loose". As it turns out though, there was a long story behind Shi Tian's Top 8 finish that weekend – one which Wizards understandably chose not to cover because of the political consequences that would have come along with it. For weeks leading up to the tournament, Shi Tian had been involved in a peaceful street protest in Hong Kong known as the Umbrella Revolution. 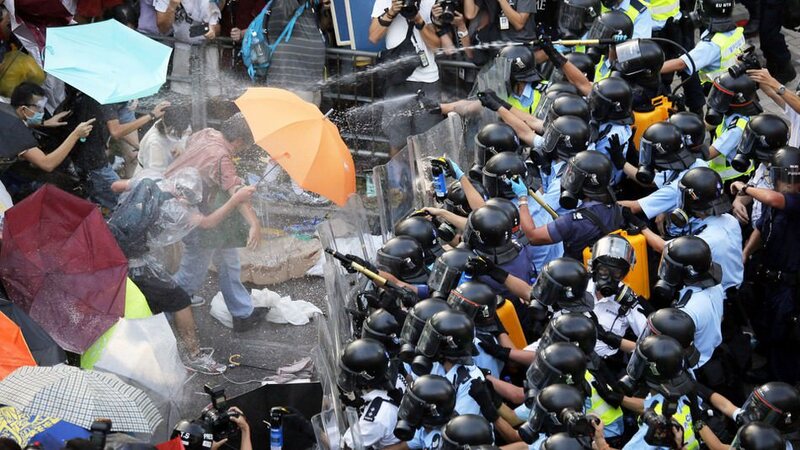 The protest was for the fight to maintain democracy in Hong Kong, as Beijing had been manipulating the candidates who run for office to ensure that only those who were backed by China would be in contention – essentially a façade of a true democracy. The protest was peaceful, as the marchers carried only colorful umbrellas with them. However, soon enough, things started to get violent, when the police decided to start interpreting these umbrellas as being a "weapon". On his first day participating in the protest, Shi Tian was tear-gassed. It was on these streets, where Shi Tian spent weeks with his friends fighting for their right to vote, that they brewed this Jeskai Ascendancy deck. The list was far from perfect, but it was made purely from theory crafting as they discussed the deck during the protests, all the while getting tear-gassed by the police with only an umbrella to protect them. By the time Shi Tian got on his flight to the Pro Tour, he had yet to play a single game with his Constructed deck, and his only Limited testing had been the pre-release he played. His goal for the event was simple – to raise awareness of what was happening in Hong Kong to a global audience. While Wizards did not cover the whole story, they did share parts of it, and with that Shi Tian was able to communicate to the world about what was happening in his home country. If you would like to read more about this story, you can find an excellent article that Adrienne Reynolds wrote here about Shi Tian. Although my parents are Japanese, I was born in Hong Kong and lived there until I was seven years old, before moving to New Zealand. A big part of why our family moved was because of the despair unfolding in Hong Kong. While I was young when I moved to New Zealand, I still have fond memories of my time in Hong Kong, and to this day I consider it to be my first home. At the time of Shi Tian's Top 8, I had been closely following the news about the movement, but I was unaware of Shi Tian's involvement with the protests until he made the Top 8, at which point I found myself tearing up in front of my screen as I had flashbacks to my childhood. The player who I had looked up to for all of these years – who gave me the hope of becoming a professional player even while living in New Zealand, was also out there for weeks fighting to keep democracy in my home. When I qualified for my second Pro Tour, which was a year after this story broke out, I decided to approach Shi Tian on whether I could join Team MTG Mint Card for the Pro Tour. I honestly expected him to snap reject me – I had never interacted with him up to this point, and I was just some eighteen year old from New Zealand without any real accomplishments. To my surprise, he quickly accepted my friend request and replied that I could be part of the team. Since then, I have become a permanent fixture of the team - even when I fell off the train for a bit. It is difficult to express just how important of a figure Shi Tian has been for Asia Pacific, but I think the best comparison of his contributions to the region is to that of Willy Edel's for Brazil. When he Top 8'd his first Pro Tour in 2012, he was not the first player from Asia Pacific to make the elimination rounds. However, he took a step that no other player from our region had ever taken before – he decided to become a full-time Magic player. Due to the social stigmas around gaming and pressure to seek a well-paying career, it is extremely difficult in Asian cultures to give up your career to pursue gaming. Nonetheless, Shi Tian decided to do just that, as he quit his well-paying auditing job to start working for MTG Mint Card, so that he could promote the game within the region and travel for tournaments. That season, he ended up just one point short of hitting Platinum, but by that stage, he had already shown our region that it was possible to become a professional Magic player. While it was unknown to him at the time, the incredible year he had was the first paving of a path that players in our region did not previously believe was available to us, and that he was about to inspire a new generation of players from our region, who now believed they could chase their once, seemingly distant dreams of turning Magic into a career. For the next three years, Team MTG Mint Card was a rotating cast of Asian players who won PTQs or Top 8d Grand Prixs. As the captain, Shi Tian ensured that all players in our region would have the best chances of doing well at the Pro Tour, by providing them with the proper testing that is needed to compete at this top level. It is crucial to note that in the Asian region, there is often language barriers and racial tension amongst the different countries. However, Shi Tian made sure those bridges were mended, and players from all different backgrounds could come together for a collective goal of helping each other. 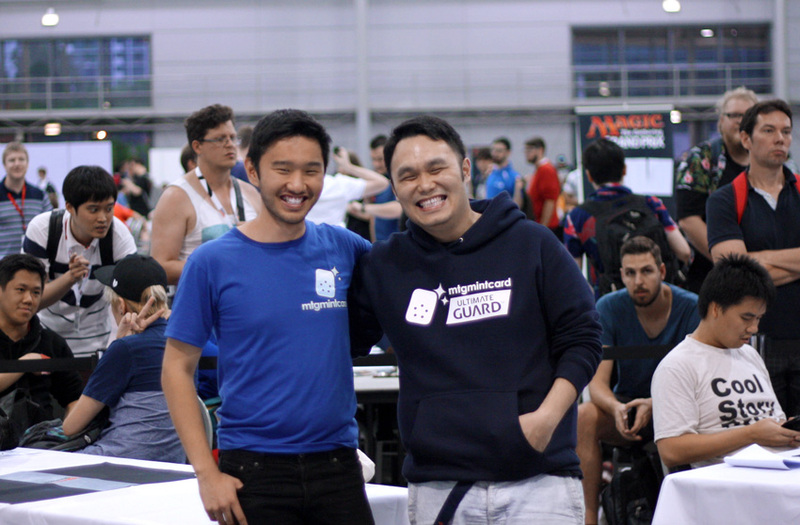 Although the team did not put up many results during this time, it was an instrumental period for our region, as he helped players such as Hao Shan Huang, Kelvin Chew and Wing Chun Yam transition from becoming PTQ grinders onto being on the train. This helped start laying the groundworks for a more structured team, as well as solidifying to our region that it was possible for us to have a major presence on the Pro Tour. The breakthrough came a year later, at Pro Tour Shadows Over Innistrad, when Shi Tian decided that he wanted to start including players from other regions. The players that he invited were from an extremely diverse background - with players who seemingly had high potential but never found a proper team, to those who had committed wrongs in the past that they were now looking to correct. Nobody thought that this team could work, even though Shi Tian had individually hand-picked each player, as we were all simply too different – we were spread over thirteen different nationalities, and many of us had never interacted with one another before. 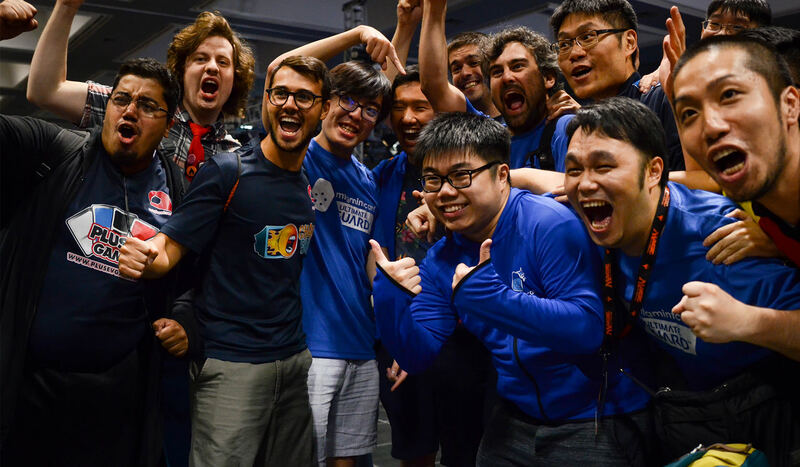 Yet, the team quickly bonded and found immediate success, as at that inaugural Pro Tour, Andrea Mengucci managed to finish in second place, with multiple players finishing in the Top 32. From there, we became stronger each event as our relationship grew, and the following season, we managed to put a player into the Top 8 of every Pro Tour, and qualified four players for the World Championships - two of whom made Top 4. We also helped Kelvin Chew, Christian Calcano, Eduardo Sajgalik and Javier Dominguez hit Platinum for the first time after being on the train for years, with Kelvin, Christian and Javier qualifying for the World Championships, while Eduardo missed by a single point. We were, arguably, the most dominant team on the Pro Tour that season. Today, our team is mostly the same as what it was at Pro Tour Shadows Over Innistrad, thanks to the majority of us managing to stay on the train – a testament to Shi Tian's success in bringing all of us together. Even though our team is spread over thirteen different nationalities in four continents, we have an extremely strong relationship that has us talking to each other every day at almost every hour, due to the different time zones that we are all in. All of this was only made possible because of Lee Shi Tian, who formed and led the team from day one in 2012 when it was just a rotating cast of Asian one-time qualifiers, to today, where we are now one of the most successful teams in the world with about a third of us being Platinum. If you asked almost any person on our team who has been the most instrumental player behind their success, you would without hesitation hear Lee Shi Tian as the reply. To close, I would like to share a small clip from when Wing Chun Yam made Top 8 of Pro Tour Hour of Devastation last year. Seeing how happy our whole team is, how Yammy refers to Shi Tian, and seeing Shi Tian rub his eyes out after spending the few minutes prior to the interview running around the venue crying in joy over his countrymen making Top 8 of the Pro Tour – this is the bond and the culture that Lee Shi Tian single-handedly created. Thank you for fighting for my home. Thank you for taking a chance on all of us. Thank you for creating Dredge when I needed to win a WMCQ, and then recreating it when I needed to Top 8 GP Brisbane to stay on the train, after begging you on messenger to break Modern "one more time". Thank you for all the late night chats in the testing house, where you took the time to listen to my adolescent issues, and gave me sage advice because you knew you had to see through to the end of the conversation for me to leave you alone, as you always sleep on the couch to make sure each of us have a bed to ourselves. Thank you for always making the time for me to come to you in a panicked frenzy, as I do not know what to play for the Pro Tour, and helping me calm down and talk through my options to find what would be the most suitable for me. And finally, thank you for being the trailblazer of our region, and paving the path for the many professional players who have since followed your footsteps. While I have enjoyed teasing you over the years about looking slightly older with each Platinum player token, it has been an absolute pleasure watching you become a legend of the game. Terry Soh tells everyone why he is voting Lee Shi Tian for the Hall of Fame, without a doubt. Eduardo Sajgalik shares his 2018 HOF Ballot, as well as countless stories about the community!